Hooray, no more worrying about streaming quality! Sony attempted its take on the 'Netflix for games' concept back in 2014 with PlayStation Now, a service which lets you stream games from a curated library of PS2, PS3, and PS4 titles for $19.99 per month. Unfortunately, the service has been criticized for sometimes being unstable and taking up too much bandwidth. (Hey, it takes a lot to pump a modern-day video game through those interwebs!) Thankfully, Sony has announced an alternative and potential solution: downloads. 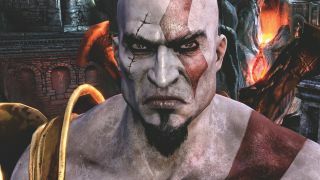 Starting today, PlayStation Now subscribers will be able to download PS2 and PS4 games to their PlayStation 4 hard drives to access whenever they want - regardless of connection. Not only does this mean you can stop worrying about going over your data limits or losing connection, but you also get native resolution and, if you're playing on PS4 Pro, any PS4 Pro-specific enhancements that game might have. You can also access multiplayer on any PS Now game, even if you don't have a PS Plus subscription. This isn't a total unplugging from Sony's servers, however. Obviously you'll need to be connected to download each game, but according to the PlayStation Blog, you'll also "need to connect your PS4 system to the internet every few days to verify your PS Now subscription, even if you’re only playing downloaded games." Keep in mind that once your PS Now subscription is up, that means your access to PS Now games, even downloaded ones, also expires. If this all sounds like a great deal to you, a one-month subscription to PlayStation Now is currently $9.99 (that's half off) for new members. Got a PS Now subscription but don't know what to play? Check out our list of the best PS4 games for inspiration and see what strikes your fancy.